Bhubaneswar: Telangana Chief Minister K Chandrasekhar Rao, popularly known as KCR, who is on a visit to Odisha now, has now reached Puri to have Darshan of the Trinity, Lord Jagannath, Lord Balabhadra and Devi Subhadra, in the Shreemandir. 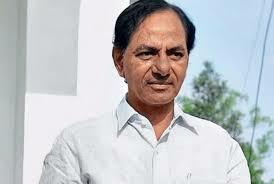 According to report, KCR and his family members were welcomed by the district Collector and Shree Jagannath Temple Administration officials at the Singhadwar (Lions Gate) of the temple. Family priest of KCR at the Shreemandir Mahabir Padhihari will lead KCR and his family members to the temple and help him have smooth Darshan of the deities.